Nikko Asset Management has introduced buy-sell spreads to its just-launched KiwiSaver scheme in a tweak that will more fairly allocate costs among members. 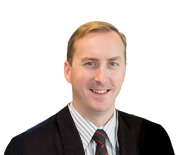 George Carter, Nikko NZ chief, said the manager has made the amendment after noting the lack of buy-spell spreads – which charge members directly for brokerage costs incurred when they enter and leave funds – could’ve “materially affected” early investors in the scheme. Carter said Nikko has buy-sell spreads on its other funds but initially deferred to the common KiwiSaver practice of absorbing entry and exit brokerage costs in the unit price. Most of the large KiwiSaver schemes do not impose a buy-sell and even the most recent start-up before Nikko – Simplicity – eschew the practice. But Carter said for smaller schemes particularly, charging members a buy-sell spread was the most equitable way to apportion the unavoidable brokerage costs. He said the industry should develop a consistent approach to how such brokerage fees are charged and disclosed to investors. “It’s more important that investors have clarity around buy-sell spreads and appropriate disclosure about how much and why they are charged,” Carter said. Nikko incurs brokerage costs of between .05 per cent (for the conservative fund) and 0.35 per cent (NZ equities) each time a member enters or exits the KiwiSaver scheme. Without buy-sell spreads those costs would fall across all existing members by reducing the unit price – as much as 2-3 per cent for early investors, he said. Nikko will release updated scheme documents next week laying out the changes. The Auckland-headquartered manager launched the KiwiSaver scheme last month, waiving annual management fees until March next year. Carter said Nikko should also lodge its robo-advice exemption application with the Financial Markets Authority (FMA) next week. Once live, the Nikko robo-advice service would help members and prospective members select risk-appropriate KiwiSaver funds.